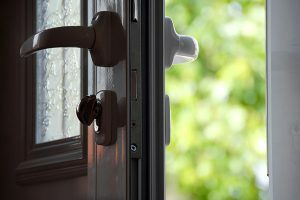 Home > Blog > What is a Storm Door and Why Do I Need One? A storm door is an exterior door that fits over your existing exterior door. You can put in a storm door to protect your front door or your back or side doors. Many homeowners, especially those that live in climates that are prone to rough weather, have storm doors on all of the exterior doors around their homes. Storm doors can be purely functional or they can be a mix of decorative and functional but they’re a great way to protect your home and give yourself and your family a better quality of life. The primary purpose of a storm door is to protect your exterior door during inclement weather. A storm door usually has three layers. 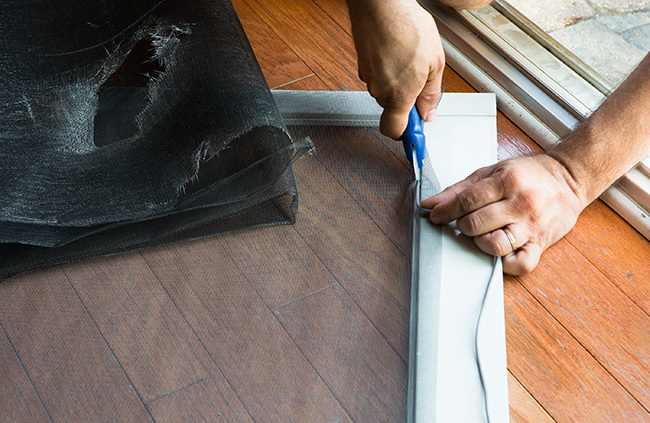 There’s a center core and then a layer of wood, fiberglass, vinyl, or another protective material on either side. Storm doors protect your door and your entryway from rain, snow, and heavy wind. Storm doors are usually made of a center section containing screen material and insulated glass surrounded by vinyl or another highly durable material as a frame. If you have small children and you need to watch them when they’re outside playing then your heavy opaque doors might make it difficult to see them when they’re playing in the back or front yard. Installing a storm door will give you the option to open the heavy interior door so that you can see the yard clearly without having to keep the door open allowing bugs inside and allowing cool or warm air to escape. The heavy insulated glass of the storm door will protect your home and entryway from the elements while still allowing you the sight lines you need to keep an eye on your kids. You can also use storm doors to keep an eye on pets that are outside in the yard. If you don’t want to put a pet door in your decorative front door, you can install a pet door in the storm door that will allow your pet easy access to the yard. A storm door can give you more access to fresh air during the spring and summer months to help keep the house cool. By toggling down the glass and leaving just the screen portion of the door your home will get lots of fresh air that will make your home much cooler and more inviting during the spring and summer. 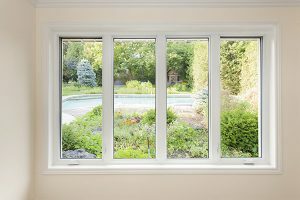 You can lower your energy bills by installing storm doors and windows that will give you easy access to fresh air without letting in the bugs. More importantly, you’ll be in better health since you will be breathing fresh air. 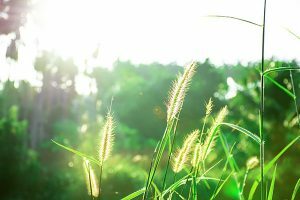 If you or anyone in your family has asthma or other respiratory issues then breathing fresh air instead of recycled air from the air conditioner can help reduce asthma attacks. This will make the symptoms of asthma and other respiratory problems less severe. If you have a home that is surrounded by trees, or if your home generally doesn’t get a lot of light then installing a storm door will help brighten up your home and give you and your family more access to healthy natural sunlight. Storm doors will allow the home to be flooded with natural light and that will have a dramatic impact on your mood and your health. Storm doors are very solid and they do a great job of keeping out bad weather like rain and snow. 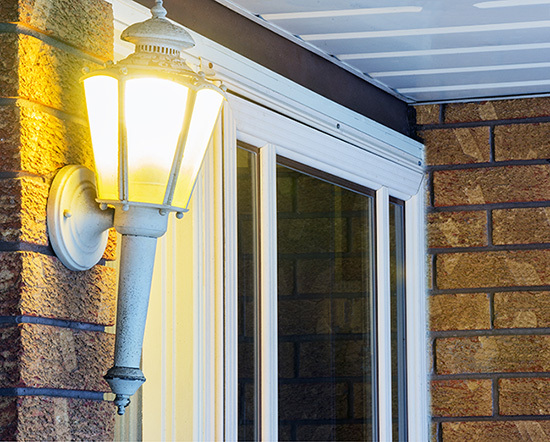 You can open the interior door and let in light with a storm door even if the weather is bad. 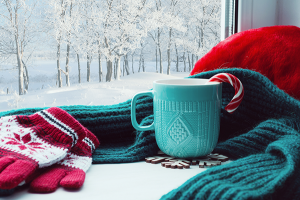 You can even sit and watch the beautiful snow or falling rain and let natural light into your home at the same time if you have a sturdy storm door. If you have an older home that lacks good ventilation, a storm door can make it easier to get air circulating throughout your home. This will result in cooler interior temperatures, better energy efficiency, and better air quality inside your home. By installing storm doors in your front and back entrances you will be able to leave the existing doors open and the storm doors will provide security and protection. Toggling the glass to expose the screens will allow fresh cool air from the outside to flow throughout the home. You can boost the air circulation with fans that are strategically placed around the interior of the house. If you have an older home, it’s very possible that the exterior doors of your home don’t fit as tightly as they used to. If you have noticed that the wood in your exterior door is slightly warped, or if there are cracks in your exterior door your door may have been damaged over time. Doors that don’t fit perfectly into the doorway can be a real drain on energy. They can leak warm air in the winter and cool air in the summer. They also can let in wind and rain if they don’t fit tightly into the doorway. Having a storm door installed will solve that problem and improve the energy efficiency of your home by making sure that the air that you’re paying to heat or cool stays inside your home. If you have wooden exterior doors they can take a real beating from the weather. From the sun beating down on them in the summer to wind and rain and snow throughout the rest of the year the weather can take a big toll on your exterior doors. That means that you will have to replace them often. Installing storm doors can help protect your exterior doors keeping them strong and looking great for a long time so that you don’t need to replace them no matter how severe the weather is. There’s a wide range of types of storm doors that you can buy for your home. Basic storm doors, which are perfect for side entrances or back entrances or even garage entrance doors are relatively inexpensive because they’re plain but durable. But if you want something a little more decorative for the front doorway that faces the street there are many different options that you can choose from. Decorative etched glass, or custom painted doors that will match your home’s paint, or even specialty sized doors made to accommodate unusual size exterior doors are all options that you can choose. Installation of storm doors is fast when it’s done professionally. If you’re interested in saving money on your energy bills and improving the look and function of your home talk to a professional today about storm door installation and options for your home. Get all the benefits of a complete storm door replacement with Feldco. Only at Feldco, you’ll get a stunningly beautiful storm door that will improve your home’s energy efficiency. In addition, you’ll enjoy better ventilation and more natural light with our high-quality storm doors. Speak to a product specialist and get a free quote today.